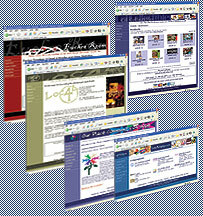 Create an online presence for your company with a basic website! Allow customers to find you online and contact you! 1. Home page and optional Contact page. 2. Ability to upload logo, header, and location map to contact page. 3. Ability to choose color scheme. 4. Ability to update mission statement, directions, keywords, and title of site. 5. Ability to update account information.